To gain the competitive edge, you need to maximize the efficiency of your sales reps and processes. Using a multi-touchpoint strategy with automated email and call scheduling, sales organizations can quickly reach more prospects to maximize outreach efforts and improve connection rates. 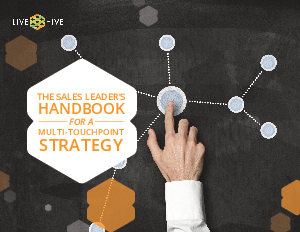 Download LiveHive's latest eBook, The Sales Leader's Handbook for a Multi-Touchpoint Strategy, to learn the five essential elements needed to implement and manage an effective multi-touchpoint sales strategy.